Bring an inviting fragrance to your home, office or commercial bathrooms with a digital Microburst 9000 air freshener dispenser. This metered aerosol dispenser dispenses a burst of fragrance every 14 minutes, or on a customized time and day interval. Microburst 9000 refills last for 90 days in the basic Economizer model, and up to 180 days with the smart chip models. 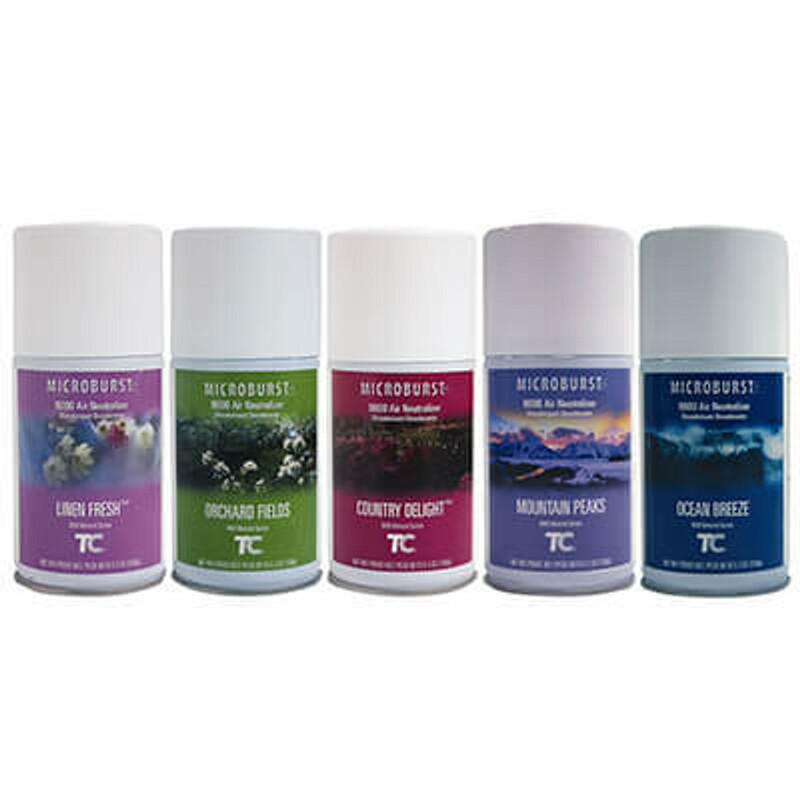 That's up to 6 months of inviting scent per microburst 9000 refill!